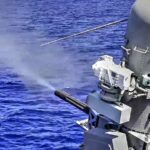 Footage of the Phalanx close-in weapon system (CIWS) undergoing a Pre-action Aim Calibration (PAC) fire test aboard the amphibious assault ship USS Bataan (LHD 5). 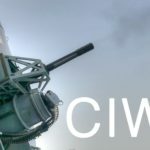 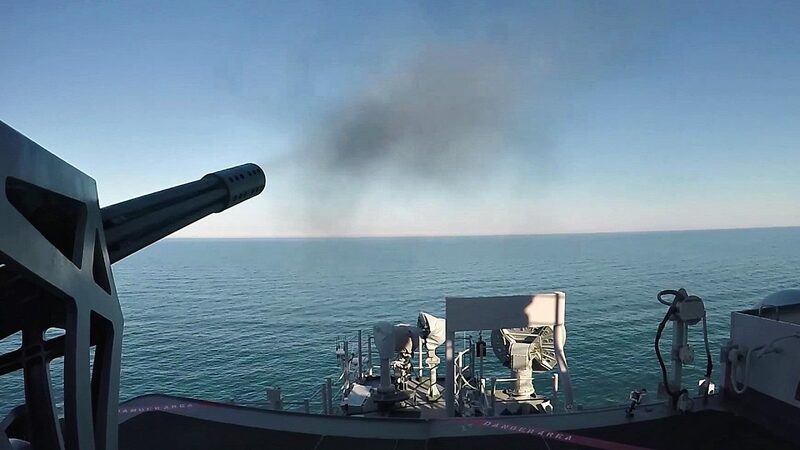 Consisting of a radar-guided 20 mm Gatling gun mounted on a swiveling base, the CIWS is used for automatically detecting and destroying short-range anti-ship missiles and enemy aircraft which have penetrated the outer defenses. 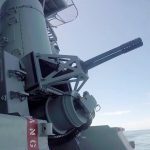 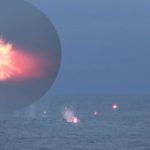 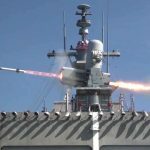 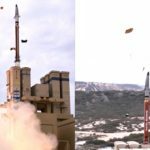 Posted On February 23, 2017 in Military, Navy with 0 Comments.Tagged: CIWS, ciws firing, ciws in action, CIWS live fire, Close-in Weapon System, PAC fire, Phalanx CIWS, Phalanx close-in weapon system, weapon.